Become part of history this Halloween in this White & Wine Toga Man Teen Costume. Made of 100% polyester, this 3-piece teen costume includes a white, ¾ length pullover tunic, a red shoulder drape, and a gold headband. The red shoulder drape is designed with a soft, velvety touch and features a slight shimmer when in the light. The costume headband features gold braid detailing and a leaf pattern on the front. An elastic band on the back of the headband secures it in place while wearing. 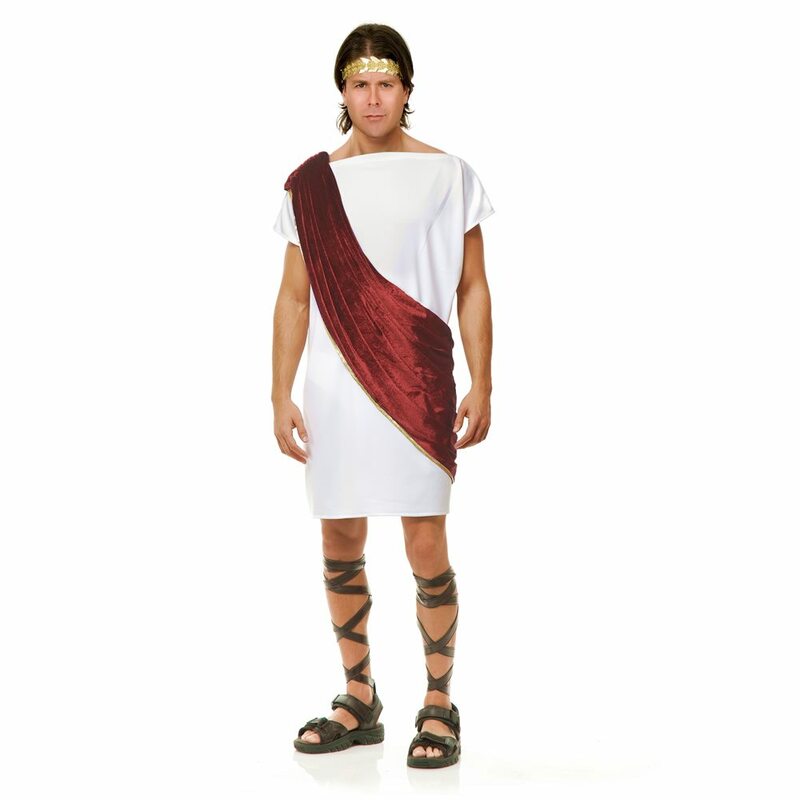 Live historically this Halloween dressed in this White & Wine Toga Man Teen Costume.